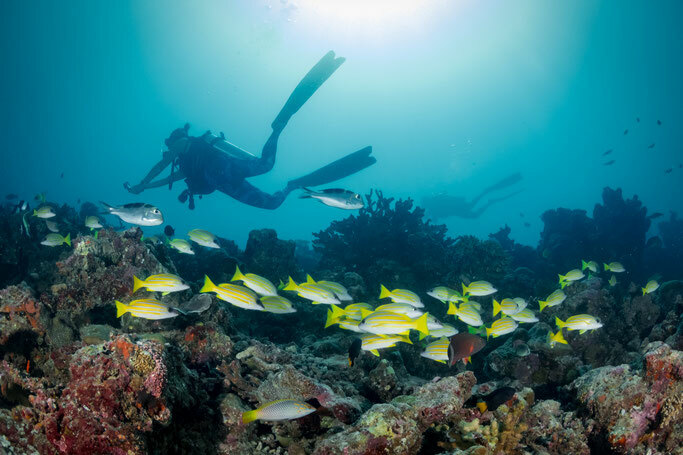 Learning to scuba dive will be a life-changing experience offering adventure and the chance to explore parts of the world you may never have dreamed of visiting before. But how do you start? How do you pick your instructor? Your agency? Globally there are plenty of agencies who offer introductory scuba diving training, you have PADI, SDI, SSI, GUE, BSAC, CMAS NAUI to choose from. This first course can make or break your diving career; an awesome experience will see you want to keep diving, while a traumatic experience will allow you to check scuba diving off your bucket list, but you may not dive again. So, with such a plethora of choices how do you go about finding the right course for you? Where do you want to learn to dive? First question to ask is where do you want to learn to dive? The tropics with their clear warm waters have attracted divers for years. The fish and corals are spectacular, the clear blue waters are so tempting you want to dive right in. Don’t disregard your local dive site though; if the body of water near you is a cold murky lake there is no reason not to learn to dive there (like in the UK). After all if you can dive in less than ideal conditions, then you will be able to dive anywhere. Once you have settled on a location, the next step is then to find the right instructor for you. This is truly the key to having a thoroughly enjoyable experience; generally speaking the agency doesn’t make too much difference at this point. So how do you find the right instructor for you? Go and ask questions of the dive shop and potential instructors, find out about the instructor and figure out if they will train you the way you learn best. So what sort of questions could you ask your potential instructor to try and get to know whose hands you are entrusting your life to and why (I don’t mean to go and interrogate people, just chat and find out if you get along with them). Do you dive for fun? Does your potential instructor go out and dive for fun and what sort of diving do they do? Really passionate instructors will dive beyond their teaching and continue to push themselves. Passionate instructors will love being in water and will be actively diving beyond their teaching and this passion will shine through. If an instructor is constantly teaching back to back classes, and is not able to/does not indulge in leisure diving on a regular basis to refuel, they may quickly burn out. How big is the class? How many students are there to the instructor, the bigger the class the less individual attention you will get from the instructor and the longer you will wait for your turn to demonstrate each skill. Personally I prefer smaller classes where the instructor has the time to focus on you, so the maximum class size I will teach is 4-1. You will have more time and less pressure from the instructor to move on before you are ready. Cheaper classes generally have a larger number of students per instructor to make them viable. What is included in the price? How many confined water sessions are there before you head to open water, will you need to pay for more if you don’t complete the skills in time? How about the course material and rental equipment and open water dives? Are boat fees, marine park fees, food etc included. It is best to know the full cost upfront. What equipment do you use? Is rental equipment included or are you expected to buy your own gear? Take a look at the rental equipment, is it well maintained and do they have sizes that will fit you? Properly fitting gear will make learning to dive more fun. Nothing is worse than having fins the wrong size that are either too wobbly or rub against your feet uncomfortably, or a rental wetsuit which has holes in them. Speaking of wetsuits, will one be provided? Even in the warmest waters I would recommend wearing some sort of protection such as a wetsuit will also stop you getting sunburnt and protect from any stingers in the water. Is there a chance you will fail me? It’s a funny question to ask, but it’s an alien environment out there and if you aren’t ready, you will want an instructor who will tell you so. Even better is an instructor who will continue to work with you for as long as it takes for you to feel comfortable. Find out what their policy is. Will you have the same instructor throughout the course? There is a theory component, confined water sessions and open water dives. Having the same instructor throughout can help make this a seamless transition, as they will build a bond with your instructor. Swapping instructors on the can be beneficial too, you will get different viewpoints and experiences. So select what’s right for you. Will I be taught to kneel on the bottom while training? People have mixed feelings on this one. For people who are new to diving, I find it is much easier to learn whilst neutrally buoyant even right from the start. What’s the big deal about learning whilst neutrally buoyant? It prepares you for the real world, so kneeling on the coral or sand when out in the real world. So why not learn from the start? Which kicking techniques do you teach? Fins are generally the primary method of propulsion underwater and so knowing how to efficiently use your fins makes moving underwater so much easier. Improper kicks can tire you out, resulting in faster breathing and thus shorter dives. So ask if you will be taught how to properly kick. It’ll make your dives more enjoyable. What else should you look for in an instructor? Most importantly find an instructor you get on with, one you trust. After you have found an instructor and a location, the fun really begins. Come asking a lot of questions, and if you are not sure about anything - ask, for there is a reason for everything. Take as much time as you need to feel comfortable, drink a lot of water (as the air is very dry and will dehydrate you) and remember your sun/thermal protection for surface intervals. Once you complete your course, plan quickly for the next trip and get out there to try as many different types of diving as you can. You will discover what aspect of diving you are truly passionate about. There are so many paths you can follow; conservation, exploration, wrecks, cave, science diving, archaeology, ice, photography, videography, teaching etc The list goes on and on. Give yourself time to explore and solidify the skills you learned during the course. I always advise my students to go and do some leisure dives between courses; it's fun, hardly homework and gains you invaluable real world experience. Most importantly, don't stress and remember to have fun. Your open water course will have a massive impact on you, opening up parts of the planet you wouldn’t be able to see otherwise. So, make sure you find the right course for you. Gemma is the chief recreational instructor for Living Oceans in Singapore. 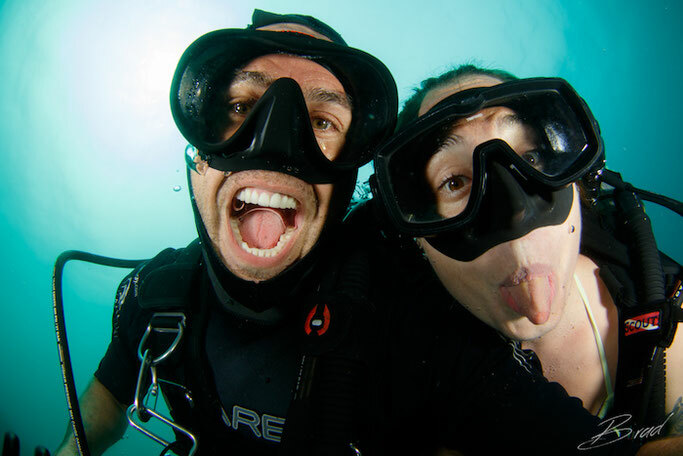 She is a GUE fundamentals and recreational 1, PADI and Diveheart instructor and certified to tech dive through GUE. Her passion lies in introducing people to diving. Originally from the UK she started diving when she moved to Singapore and has been exploring the region ever since. You can follow her adventures on Instagram (boss_gemmama) and Facebook (Living Oceans Pte Ltd).